We have a great range of puppy collars, leads and harnesses to suit every fashion conscious pup. We have a fabulous selection of luxury puppy collars including the fun range of puppy collars from the very eco-friendly Oops My Dog. Why not treat your new puppy to a fine first collar! Most of our puppy collars, leads and harnesses are handmade here in Britain from the finest materials. Get your puppy off to a great start in life with the best designer puppy accessories. 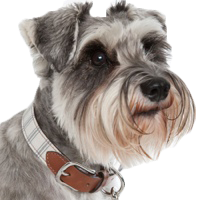 We’ve got a fabulous selection of puppy collars including soft, adjustable puppy collars and the more sturdy leather puppy collars. When training your puppy to walk on the lead without pulling, a puppy harness will help you achieve the desired results whilst protecting your puppy’s delicate neck from tugs on a collar. Lead your puppy through puppyhood with a luxury puppy lead or designer puppy training lead.